The lines are blurring between the different areas of technology. Once separate islands isolated by clear divisions the various realms of tech are now combined on a more regular basis. Audio visual technology, a once stand-alone dark art, is now so often one of the most crucial facilitators in the worlds of unified communication and collaboration. The rise of video communication and the seemingly ever growing importance of audio quality means that for a truly immersive experience all of the technology needs to integrate seamlessly. That’s why you would be wrong to think that the world’s largest AV and systems integrator event might hold little relevance to communication and collaboration, as that couldn’t be further from the truth. Integrated Systems Europe, or ISE, began in nearly 15 years ago and since then has grown in to an event behemoth with over 1,500 exhibitors welcoming over 81,000 attendees to its convenient Amsterdam location. 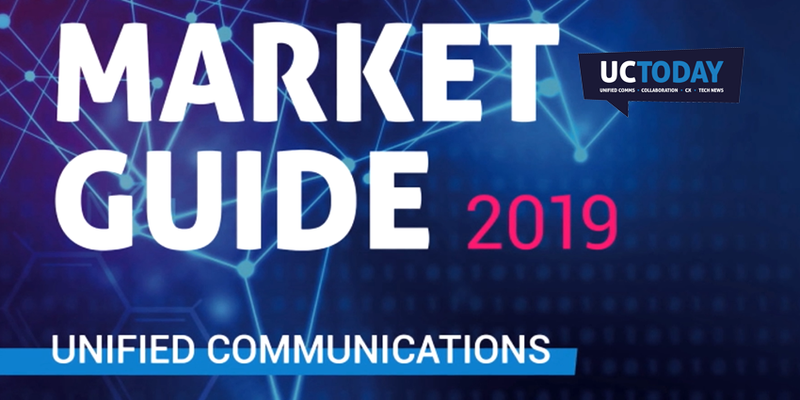 Offering an overarching view of the AV market ISE has now grown to provide insight and visibility of other related markets. Every year the Unified Communications Hall gains more and more focus and takes a more central seat at the event. This year the UC section of the show welcomed the best and brightest communication and collaboration providers to showcase their latest and greatest innovations. 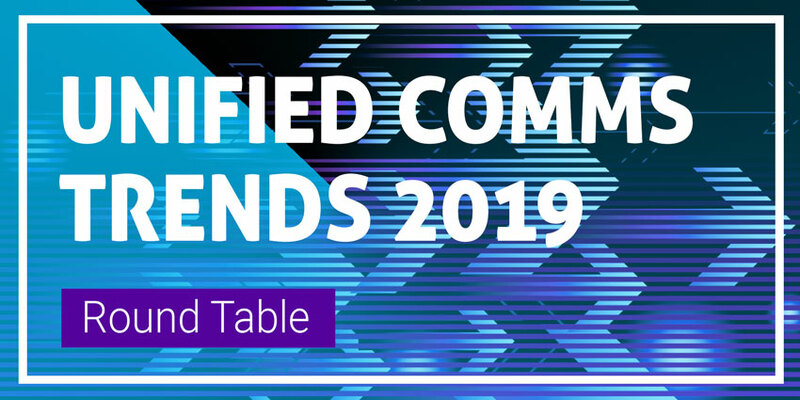 As you would expect Microsoft and Cisco were highly visible but the event prides itself on diversification and the likes of Starleaf, Plantronics Polycom and Lifesize were all prominent as well as over 50 other vendors in Unified Communications Hall. Let’s have a look at some of the biggest news stories unearthed at ISE 2019. One provider missing from the UC Hall was Crestron. Their extensive portfolio covering domestic design systems through to enterprise communication and collaboration means they can’t be pigeon holed into one section of the show. Their huge and impressive stand took up a huge central location and on show were some of their most innovative solutions in each of their focus areas. When it came to collaboration and communication Crestron Flex Communications & Collaboration Solutions were on show. Flex delivers a native Microsoft Teams, Skype for Business, and Zoom Rooms experience across an entire portfolio of devices including their P100 Phone Series, M100 tabletop solution and the B100 Series Smart Soundbar with Video. Offering a remarkably comprehensive set of solutions Flex undoubtedly demonstrates Crestron’s leading role in the hardware integration aspect of the most popular collaboration solutions. Crestron also used ISE as the platform to announce the winners of their 2019 Integration Awards. Back to the Unified Communications Hall and the Logitech booth where they used the opportunity to demonstrate their latest innovation in the form of Logitech Tap. Tap is Logitech’s latest solution to reduce complexity in the realm of video conferencing. The new touch-screen control Tap unit redefines previous Logitech solutions to control a variety of conference solutions from the likes of Microsoft, Zoom or Google. Offering simplicity with the principle of one button to join, Logitech Tap offers organisations the chance to radically improve the process of joining and managing video meetings. Also on show were some of the vendor partnerships that promise to further enhance already established solutions. Oblong Industries have already provided the industry with a cutting edge collaboration solution in the form of their content focused Mezzanine series. At this year’s ISE Oblong and Cisco combined together to showcase the integration that they can offer. They demonstrated the capability for the Mezzanine 200 series, their small room solution for multisource collaboration, to connect in a Cisco Webex Teams session. The integration is possible across the spectrum of Cisco Webex endpoints. The demonstration clearly showed how easily a popular touch screen collaboration tool can be utilised in the Mezzanine meeting environment and further highlighted the deepening partnership between Oblong and Cisco. Oblong also premiered its new application for the Mezzanine Series of solutions. The Mezzanine app unites the features and functions of the Mezzanine Screencast app for screen sharing with the Mezzanine web interface for room, participant, and content control. The Mezzanine app is one of several modes of control for a Mezzanine meeting and complements their wand device for gesture control of rooms and content streams. As well as showcasing their latest products and solutions Oblong also announced a new strategic sales partnership with Technological Innovation Group, or TIG. The Plantronics Polycom stand was also another area of interest in the unified communications hall. The chance to see some of their latest solutions in the flesh proved attractive to many of the attendees. On show was a real world demo of their Habitat Soundscaping solution, designed to transform the traditional open plan office from a world of noisy distractions to one that promotes focus and productivity. Alongside the solution was their full range of hardware, now enhanced by the combination of the two previously separate entities. The full range of hardware included the Elara 60 Phone station which promises to finally provide hardware designed and focused for the mobile centric worker. ISE doesn’t just provide the opportunity to see the industry’s biggest vendors but also gives you the chance to take a look at the next generation of innovations from the smaller providers. ClearOne, renown for audio endpoints, were showcasing their own foray into the world of collaboration with their own offering for the SME in the form of COLLABORATE Space, a new cloud solution promising to unify users at a fraction of the cost of more well known solutions. We also saw video endpoint specialists Angekis challenge the established players with their range of cutting edge products including the Saber IP20X and latest Blade 4K UC Camera. The news doesn’t stop there. ISE is becoming more and more important for communication and collaboration providers so the announcements were fast and furious. More info and analysis to come from UC Today. Were YOU, dear reader, in attendance? Let us know, here.